Director Tamra Bisbee McKittrick teaches with a faculty of highly-trained and caring teachers who are as concerned with your child's self-esteem and well-being as they are with providing excellent dance technique and training. We also offer an age-appropriate student-to-teacher ratio. Our smaller class sizes ensure safety and allow personal attention to each child. Our family-friendly waiting room allows ease when waiting for your dancer, and we have observation windows into each classroom so you can see your dancer's progress. A Step Above Dance & Music Academy's dance program begins in August and continues through May. Separate summer classes, workshops, and camps are also offered. When registering, students, and parents receive an information folder and handbook containing our dress code, student code of conduct, special events calendar, and other important and helpful guidelines. Each spring, A Step Above Dance & Music Academy produces a public performance in a local theater, complete with costuming, makeup, scenery, and lighting. Every student is invited to perform with his or her classes, but performance is not mandatory. Because dance is a performing art, performing is considered a major part of a dance education. Those who participate find it a truly confidence-building and exciting experience. A Step Above Dance & Music Academy also offers participation in "A Step Beyond Dance Company." 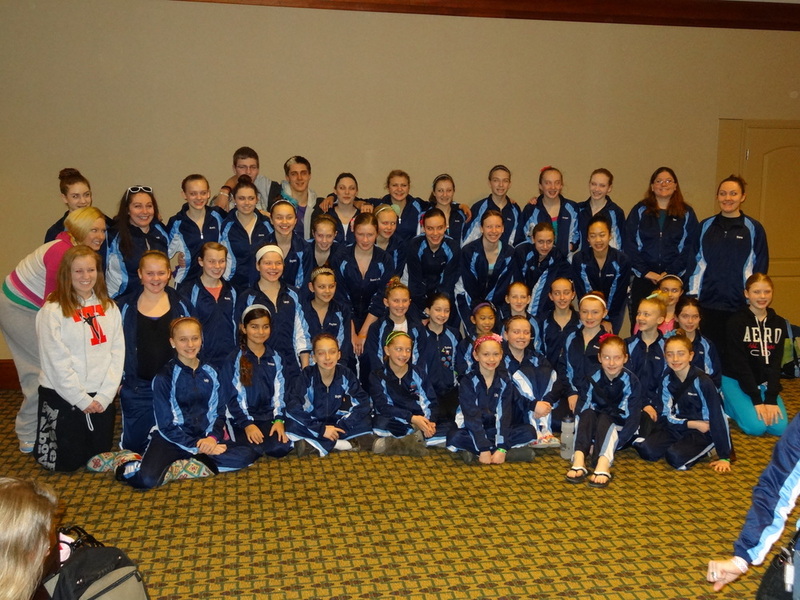 The group performs throughout the community and at regional dance conventions and competitions. In addition to performance and dance skills, members of "A Step Beyond" learn to work together and develop a true team spirit. No dancer is ever required or asked to compete against a team member, and all team members are valued. "A Step Beyond Dance Company" membership does not require an audition, only the desire and commitment to dance and perform. Our office staff will happily answer your questions regarding the details of our educational programs, scheduling procedures, or administrative policies.